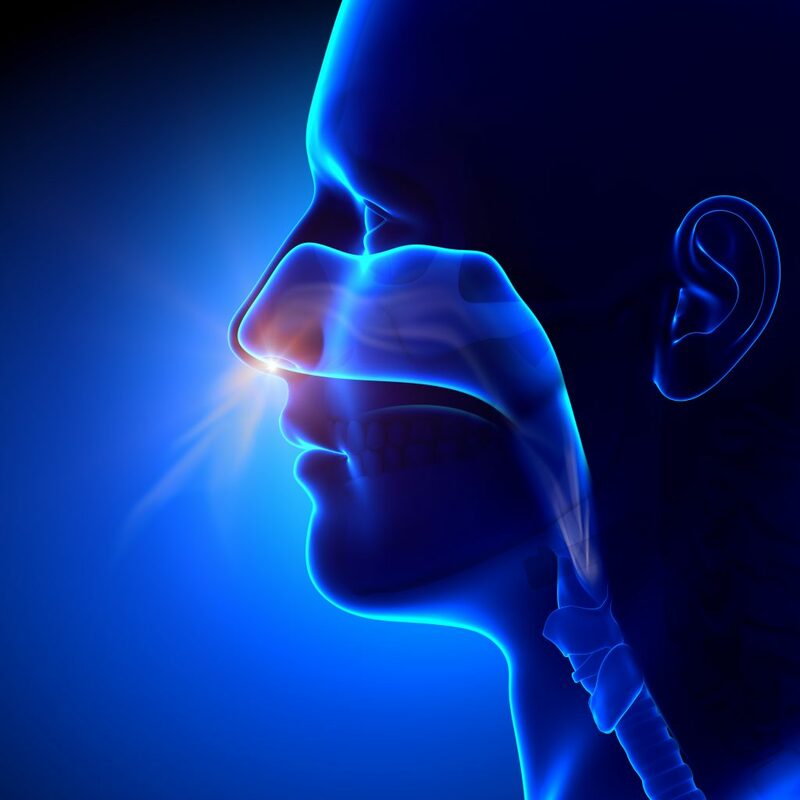 Jonathan Joseph is fellowship trained and has a wealth of experience in all forms of nasal disease. His regular practice involves the management of complex nasal conditions with patients referred in from around the country. Below is some further detail about the nasal conditions that Mr Joseph will manage. This condition affects many people and can have a significant impact on quality of life. It is usually divided up into those with nasal polyps and those without. The intention is to manage these patients with medical treatments as far as possible. This usually involves a combination of sprays and drops into the nose along with some medication taken by mouth. Further investigation is often carried out with a CT scan of the sinuses. If however medication is not adequate to control symptoms, the next step would be to perform endoscopic sinus surgery. The operation takes about 1 hour under general anaesthetic and patients can go home either the same day or the following morning. This is inflammation of the nose causing blockage and often discharge. It is often caused by allergy but can also be infective or with no obvious cause (idiopathic). Allergy testing is carried out to help with diagnosis and management of the symptoms. The mainstay of treatment is a combination of anti-histamines, nasal steroids and nasal saline rinses. A small number of patients improve greatly with an operation to reduce the size of the inferior turbinates which are on the sidewalls of the nose. Mr Joseph uses a technique called turbinoplasty which reduces the bulk of the turbinate but preserves the healthy tissue so maintaining the normal function of the nose. The nasal septum is the partition that divides the nose into two. It is made of cartilage at the front and bone at the back. It can become deviated through development of the nose or due to trauma. This is a common of nasal blockage which is unilateral (one sided). A septoplasty operation can be performed to correct the deviation and restore normal, laminar nasal airflow. This can lead to both cosmetic and functional problems with the nose. Within the first few weeks of the injury, the bones can be manipulated back into the correct position with either a local or general anaesthetic. If the injury is older, a septorhinoplasty operation would need to be performed. This is a more complex operation and you would discuss the exact details with Mr Joseph in consultation with him. Mr Joseph is highly trained in a very wide range of techniques for correcting cosmetic deformity of the nose and facial skin. He is also an expert in the psychological aspects related to dissatisfaction with a person’s appearance. He will fully assess your concerns and you will be both together formulate a plan to ensure the best possible outcome. These are most common in children and people over 60. These can usually be managed fairly simply and effectively in the outpatient clinic, while taking care to rule out any other less common causes of bleeding which need further assessment. Mr Joseph has worked with the facial pain clinic at the Eastman Dental Hospital and has significant experience in this area. The causes of facial pain include sinusitis, neuralgia, tension, stress, cluster headaches, paroxysmal hemicranias, migraine and many others. A careful assessment can usually identify the most likely diagnosis and then effective treatment can be started. Mr Joseph has a busy practice in nasal tumours and is the lead surgeon in this area for UCLH. He is able to fully assess patients in whom there is any concern about a sinonasal tumour. In the event that a suspicious tumour is found, the latest, evidence based approaches for investigating and treating the findings will be used.